New Zealand-owned galloper Patrick Erin currently sits in 47th position in the order of entry for the Gr.1 Melbourne Cup (3200m), but regardless of whether he makes the final field co-owner Janice Smith and her daughters will be at Flemington to mark a special occasion. Smith planned the trip earlier this year to celebrate the 50th anniversary of her wedding to the late Patrick Erin Smith, who sadly died in May. “At the beginning of the year we thought it would be a chance to celebrate, but we thought we would all go anyway and we will all be together,” said Smith, referring to her daughters Lauren, Vicki and Jackie. The Smiths will be joined in Flemington by Patrick Erin’s other owners - twins, Tony and Graeme Handisides - who are responsible for naming the son of Gallant Guru. “We have raced horses together before, Tony and Graeme and Pat were at St Bede’s college together and they’ve been friends since then,” Smith said. Patrick Erin’s dam Mega Babe was bred by the Smiths who had raced her dam Red Diamond. Mega Babe died in 2013, having left six winners from as many foals to race. The Smith family still have Gallant Babe, a sister to Patrick Erin and Erin’s Babe, a half-sister by Raise The Flag, based at White Robe Lodge. Gallant Babe has a Ghibellines foal at foot and Erin’s Babe, a maiden winner at Wingatui in November, has been served by Ghibellines. 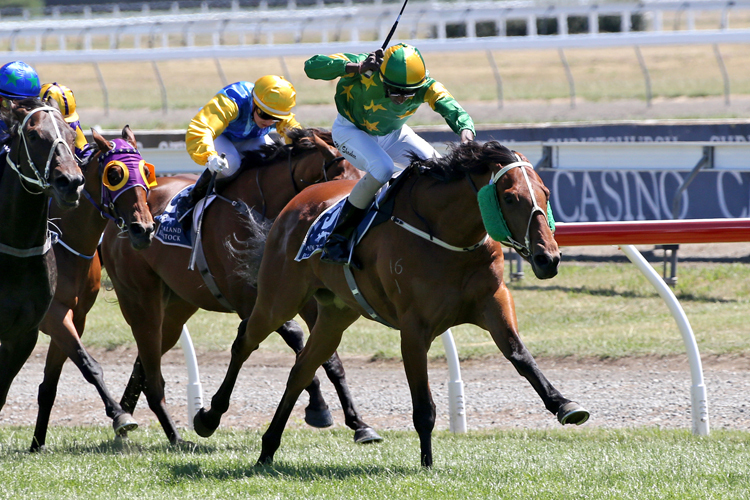 Patrick Erin began his race career in New Zealand with Brian and Shane Anderton as a four-year-old. He won 10 races for them including the Listed Riverton Cup (2147m), but due to his high rating the decision was made to send him to Chris Waller in Australia. “We would have like to have seen him carry on here but as Brian Anderton suggested he’d just been weighted out of everything so it was best to let him go over there,” Smith said. Patrick Erin is likely to continue his Melbourne Cup preparation at Moonee Valley on Saturday where he will jump from barrier 14 in the Gr.2 Moonee Valley Gold Cup (2500m). The wide draw has Waller in two minds with the possibility he could reserve Patrick Erin for the Gr.3 Bendigo Cup (2400m) on Wednesday for which he also holds a nomination.